​29 years ago - Alexander Nero is born. 14 years ago - 15-year-old Nero's art gains international attention. 12 years ago - 17-year-old Nero is sent to an asylum. 10 years ago - ​19-year-old Nero is released from the asylum. He attends art school with Kyle Rayner. 6 years ago - ​23-year-old Nero finishes art school, his work selling around the world. 4 years ago - ​25-year-old Nero, an ideal wielder, is found by Fatalities Yellow Anti-Oan ring. He battles Kyle Rayner, eventually having his ring removed and placed back in an asylum. ​​2 years ago - 27-year-old Nero reclaims his Anti-Oan powers without his ring. He escapes the asylum, far more powerful, and battles the entire Justice League before he departs for deeps space. During the yearswhere Kyle was the lone Green Lantern in the universe, there were some pretty robust opportunities to dip into the classic Green Lantern toolbag of clever ideas that could be mined for new enemies and stories. 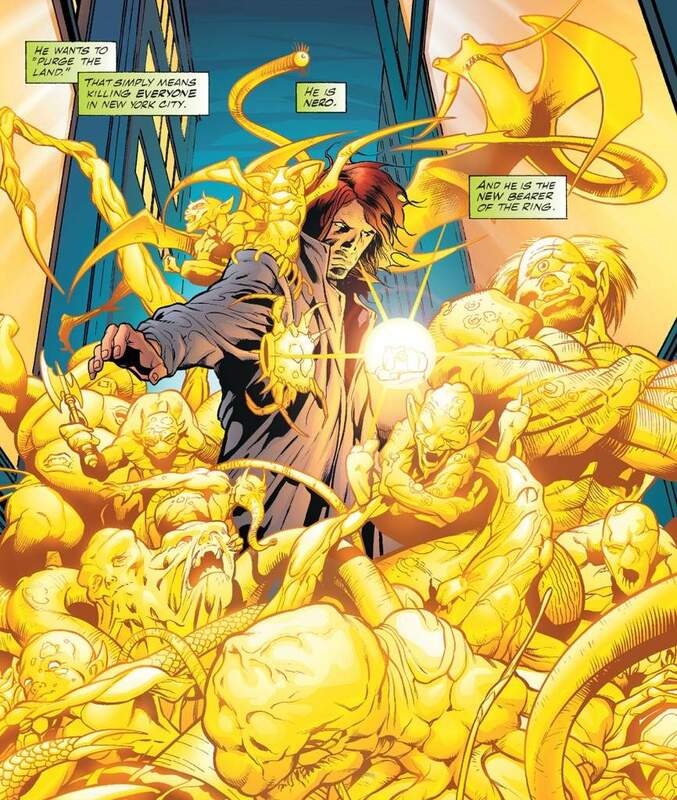 The existence of the yellow power rings wielded by Sinestro was obviously going to be picked up by someone, somewhere. 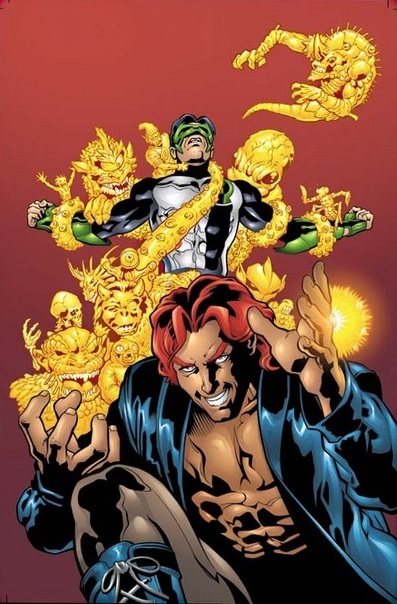 While we could have just wound up with a reimagined version of Sinestro, what we got instead was Nero, a character that probably has a lot more potential that anyone really seems to recognize. 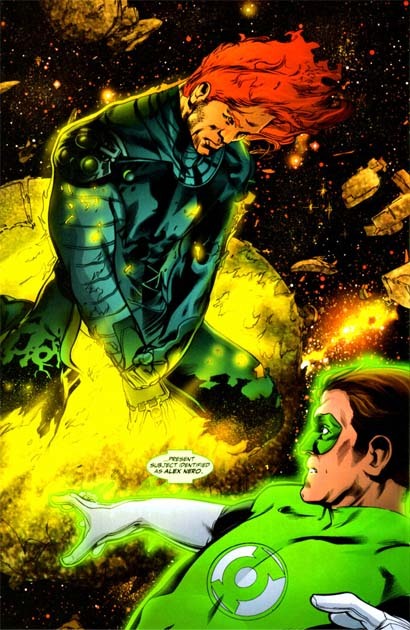 Nero appeared for the first time in 2001 in Green Lantern Vol 3 #132. He's noteably created by Jud WInnick, who is personally responsible for some of the best story beats to come out of DC in the early aughts. The really clever innovation of Nero, in addition to just the basic realization that no one was currently using a yellow anti-oan ring, was that he was built as a specific reflection of what made Kyle unique. While there had been quite a few other Green Lanterns preceding him, Kyle represented a different take on what they could be. He wasn't necessarily the most brave or heroic character. Instead, he was artistic. Green Lantern rings let the wearer create whatever they can imagine, so of course a character who has a deeper and more robust imagination winds up being more powerful. So while Nero might, on the surface, just be another guy with a ring, he's really well-executed inversion of what makes Kyle powerful. He's a ring-wearer with the mind of a nihilistic, tortured artist. Some work has to be done on Nero's look, obviously, as it's never really been nailed down. At his best, he actually evokes classic Top Cow character the Darkness, and that's a great look for a Green Lantern villain. A character like Nero benefits the most from keeping him simple. When you write something like this in the comics in real time, you wind up struggling with the current status quo. How are we currently defining the yellow rings, and where are they in the universe? These sort of details change from decade to decade. For our purpose, all we have to do is put a ring into play, and then get it into this character's hands. Thankfully, we've also included, the classic Kyle Rayner-era Green Lantern villain, who canonically has wielded a yellow ring, which serves as a very easy solution. To develop the character further, we'd like to keep him distinct from the other ring-wearers once Sinestro returns to power and leads the Weaponers of Qward. To that end, we'd like him to internalize the power of the ring. It's not unheard of, and Nero is a great candidate to have this happen to. It elevates him to a spectacular threat level that can challenge the entire Justice League.